Hon. Bronwyn Bishop MP accepts a new cap at Whale Beach SLSC Offical Opening of Renovated Clubhouse and 75th Celebrations 29.9.2013. Picture by A J Guesdon. 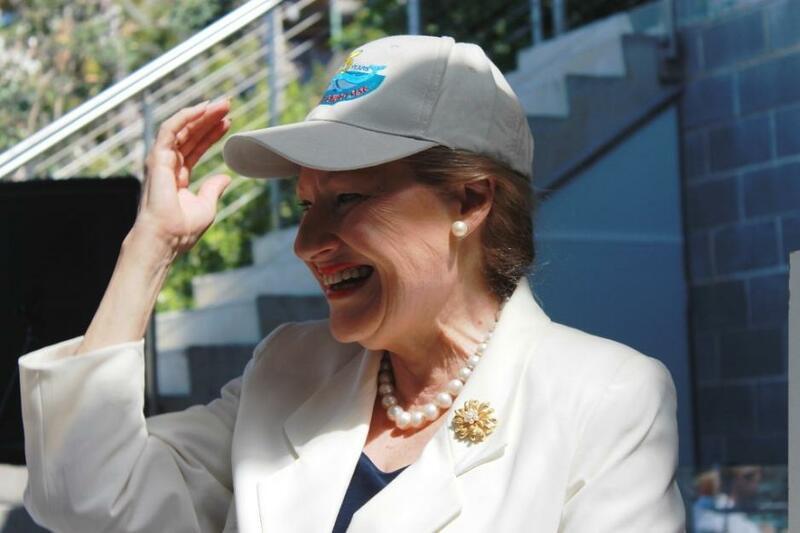 On Tuesday 12th of November 2013, after the official opening of the 44th Parliament of Australia, Federal Member for Mackellar, the Hon. Bronwyn Bishop was elected as Speaker of the Australian House of Representatives. This makes our MP the Coalition's first female Speaker of the House and the third female Speaker elected, a choice that is sure to raise the tone of any debate conducted in this chamber should those voted in to represent us aspire to her own eloquence and hopefully bring back a little much needed civility should her own conduct through decades of representation inspire the observation of fundamental politeness. In Australia the Speaker generally remains an active member of their party, will continue to attend party meetings, and at general elections will stand as a party candidate. Many in Pittwater know how tireless their Federal Representative is and would not be surprised that the Hon. Bronwyn Bishop was at the Royal Prince Alfred Yacht Club on Friday as part of their very popular Speakers Corner luncheon series. The Speaker, Hon. 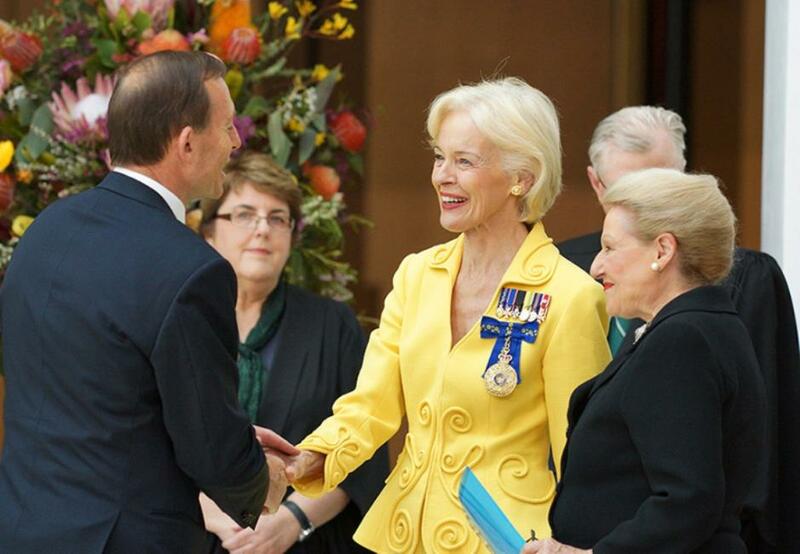 Bronwyn Bishop MP, presents the Hon Tony Abbott MP, Prime Minister of Australia, to the Governor-General, the Honourable Quentin Bryce AC CVO. Picture courtesy Parliament of Australia website.